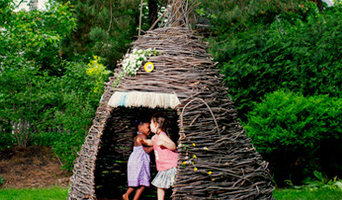 CHEERIUP Thickets© are hand-made dwellings for all ages, lovingly woven with wildcrafted Minnesota willow by Kelly English. A unique and aesthetically inspiring feature for any landscape that maintains interest for years to come. Harmonious with any natural landscape, a Thicket brings restoration, play, and a daily connection to the natural world so many of us crave today. Play. Outfitted with thoughtful details–like windows, green pouches, flags, fiber fringe, play hooks–yet still simple, open, and abstract enough to leave room for a child's own ideas of imaginative play. A safe retreat for nurturing solitude. Inspire. Why does something that lives in the family backyard need to be relegated to kids? Curl up inside a shady Thicket with a book on a hot afternoon. Share a magical evening with your sweetie, sharing a glass of wine while flickering rings of candlelit willow surround you. Connect. Experience that slowing-down of time that only nature can provide. Hear the Summer wind shhhhing the leaves of a majestic tree above. Notice the volume of the cicada's buzz along side a siren in the distance. Learn the difference between a male and a female Robin’s call. While watching our children and their neighborhood friends playfully and imaginatively creating a world of adventures in our own backyard, the concept for the Kiddo Mini Home was conceived. We started with two simple prototype designs in 2003, the Dino House and the Home of Hearts, which were a big hit with the kids and provided years of fun. We dreamed that someday we would build Kiddo Mini Homes so that we could offer this wonderful experience to other families. Now our children are old enough to help us make our dream a reality. The “Kiddo Mini Home” crew is made up of many dedicated individuals: Jason Rudenick - President and “The Master Carpenter,” works closely with his wife Joyce “The Chief Financial Officer,” daughter Alexis “The Brains behind the mini home models” and son Jacob “The Muscle behind the custom mini home construction.” This is most certainly a family affair! The “Kiddo” crew aligns with a veteran architect specialist, an expert imaging consultant and local environmental building material suppliers. To ensure your new mini home is of the highest quality and will last a lifetime, we use only state of the art technologies, sound architectural design and the finest handpicked materials for the construction of your premium Kiddo Mini Home. We pledge from our family to yours, to provide you friendly service and excellent customer care. 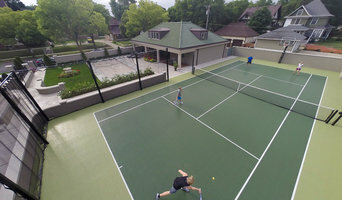 SnapSports MN is a professional court builder for commercial and residential projects. Athletic surfaces for indoor and outdoor basketball courts, tennis courts, volleyball and multi-use courts. We manufacture and sell climbing wall equipment so we can be sure our products are safe and can custom design. With little ones in the home, safety is likely foremost in your mind, especially for structures that are designed for them to climb on, swing from and jump over. If you’ve decided to add an outdoor play system to your yard, it’s well worth hiring a Blaine, MN professional to craft one that’s solid and secure. Even if you choose to purchase a kit, an installer can ensure that it’s put together correctly and that it will hold up with heavy use. Outdoor play system professionals design and build custom playhouses, playsets and other equipment, and also install prefabricated kits. 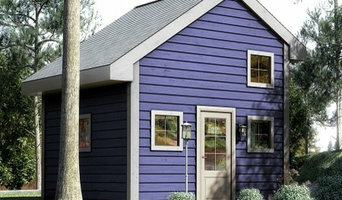 They can design a playhouse to look like the main home or come up with a completely unique concept that suits the parents’ and kids’ fancies. 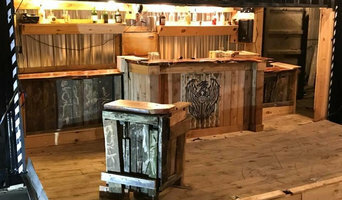 Because playset kits can be quite tricky and time consuming to assemble, many Minnesota homeowners hire professionals to handle the job both for convenience and for peace of mind with regard to safety and structural integrity. Here are some related professionals and vendors to complement the work of outdoor play systems: Backyard Courts, Landscape Contractors, General Contractors, Woodworkers & Carpenters. Find an outdoor play system professional on Houzz. Narrow your search in the Professionals section of the website to Blaine, MN outdoor play systems. You can also search farther afield for a pro who fits your project’s needs.